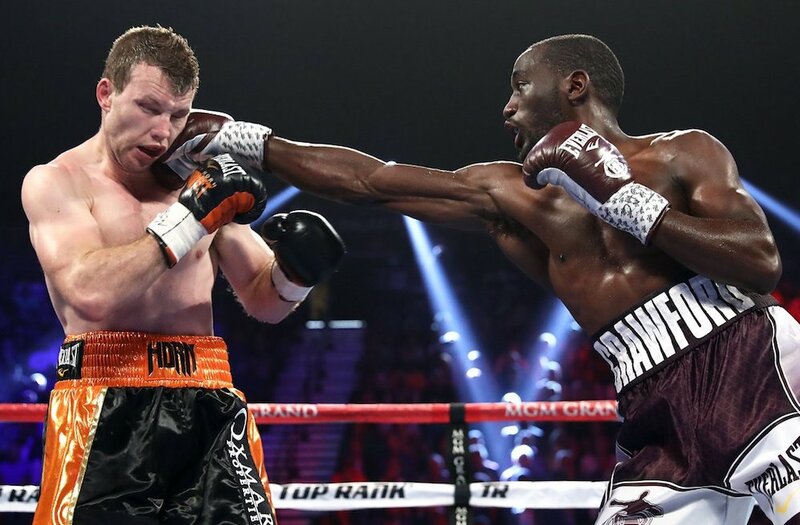 Terence Crawford relinquished his junior welterweight titles for the opportunity to face Jeff Horn for his WBO welterweight title and took full advantage in Las Vegas. 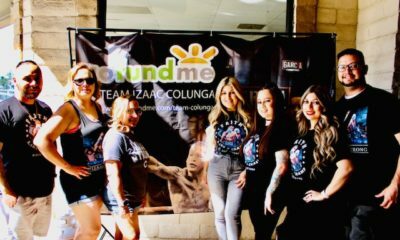 Crawford outboxed and outclassed Horn, whose claim to fame was a disputed decision win over Manny Pacquiao in Australia in July 2017, which earned him the title he was defending. Though Horn came out aggressively looking land power punches, Crawford countered him sell and used his pressure against him, while putting his quick hands and feet on display. 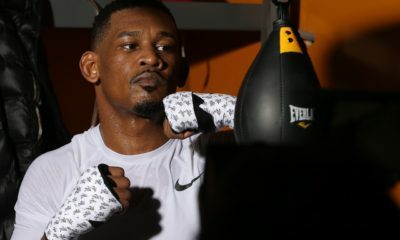 Over the course of the fight, Crawford continued to connect with combinations, which saw Horn visibly begin to tire. Then in the eighth round, Crawford landed a clean shot up the middle that nearly sent Horn down during the final seconds. In the ninth round, Crawford was clearly looking to finish the fight, and he unloaded a series of blows that finally put Horn down. Though Horn rose to his feet, he was unsteady and Crawford jumped all over him, prompting referee Robert Byrd to waive it off.